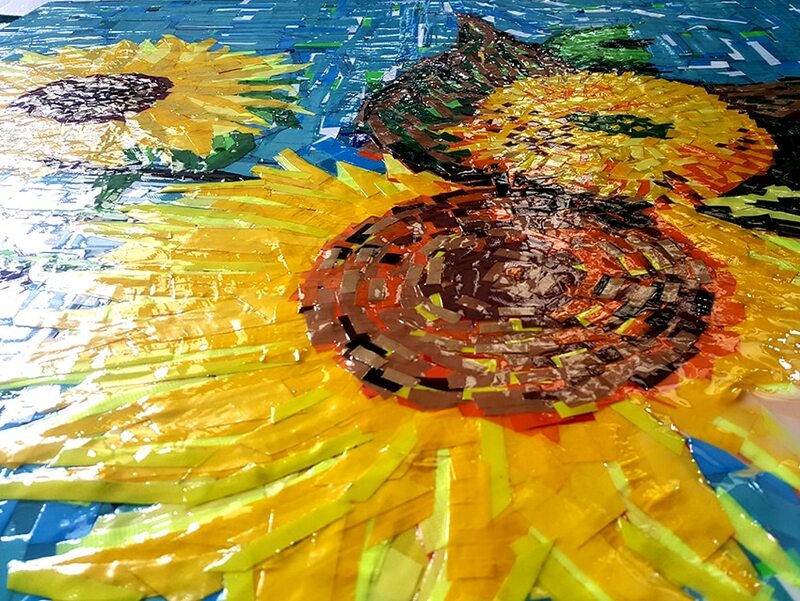 “Three Sunflowers in a Vase” is an image that many people have even with closed eyes in mind. Even if they only mentioned the title. Vincent van Gogh created it in 1888 in Arles. Back to the capital. We write 2015. Three sunflowers in a vase. A blue background sunflowers shine (like the original). But if you look closer, recognizes … duct tape. 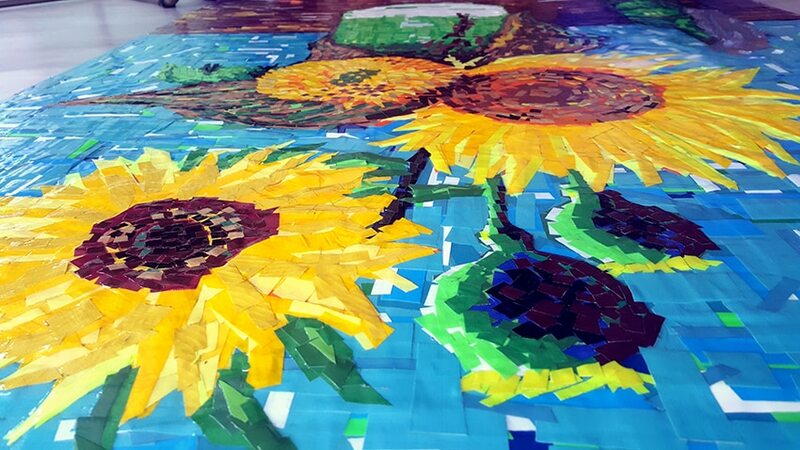 The German- Ukrainian tape artist Ostap has created the work of hundreds of colored duct tape strips. The name of this presentation is tape art. 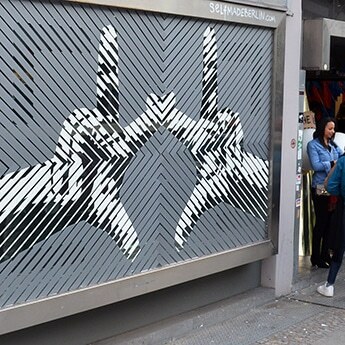 This art form originated from the search for alternatives to graffiti as a subcategory of the urban art in the 1960s. It has now reached the interior or the canvas. And so that the collectors of contemporary art. 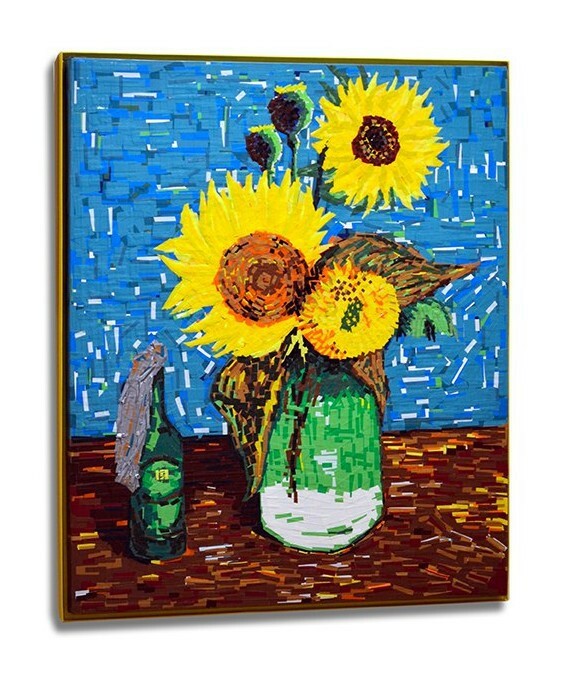 Ostap’s painting “Still unrest” is intended as a tribute to Van Gogh’s “Sunflowers” – not as copy – it indicates an element next to the vase. This is a bottle. A bottle with a cloth sticking out of the neck. It gives the work the title: “Silent unrest” and a reference to today’s situation in the world that provokes and is explosive. 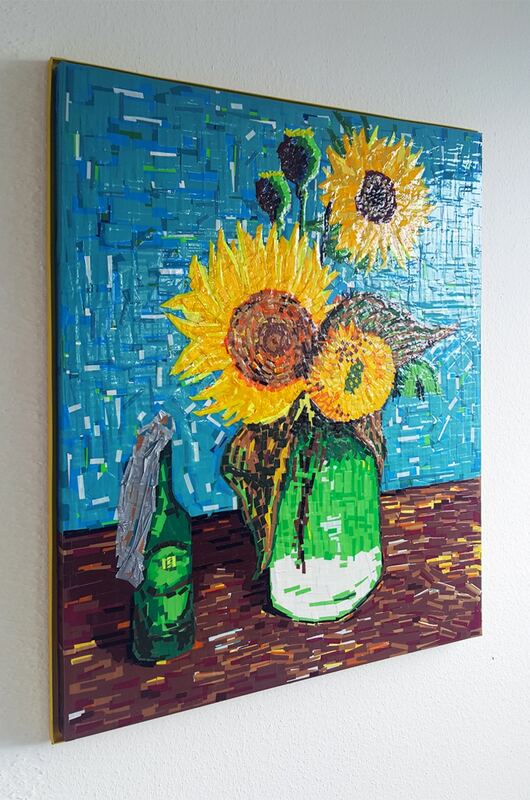 The technique used is similar to that Ostap that Van Gogh used in his paintings. Van Gogh tried to rule out any adjustments and write short and rough brush strokes. Ostap also used in this work short pieces of duct tape, superimposing them on each other. Another similarity is that the layers of fiber reinforced adhesive tape also forms a relief structure. The colors shine as brilliant as the master of Post-Impressionism, Van Gogh, considered one of the founders of modern painting. 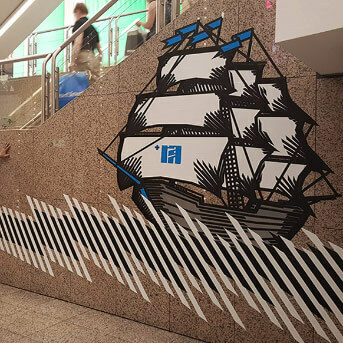 Also, tape art would push the boundaries of painting. By one of its main representatives from the capital, tape artist Ostap, such a well-known motif picks up and interprets this technique, exactly succeed him.